In November, NOAA Fisheries announced the availability of up to $6 million in Community-Based Restoration Program funding for habitat restoration in 2019. In response to the recent lapse in appropriations, NOAA has modified the review process, and pre-proposals are no longer mandatory. Full proposals are due April 16. 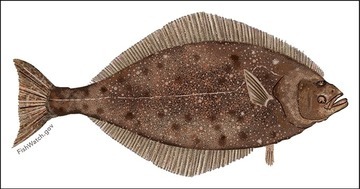 Read a statement from Assistant Administrator Chris Oliver, who also serves as U.S. Commissioner to the International Pacific Halibut Commission, about the new agreement between the United States and Canada on a coast-wide Pacific halibut quota. The new quota reflects an increase of 1.4 million pounds over last year. 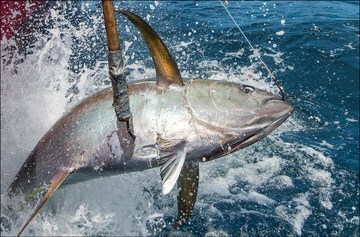 The International Commission for the Conservation of Atlantic Tunas (ICCAT) established the Atlantic Ocean Tropical Tuna Tagging Program in 2015 to study the life history and movements of bigeye, skipjack, and yellowfin tuna in the Atlantic Ocean. If you would like to volunteer to help tag these fishes for the study, please contact Dr. Walter Golet at the University of Maine (walter.golet@maine.edu). We are seeking volunteers for a 20 minute call at your convenience to learn how we can make the website better for you. 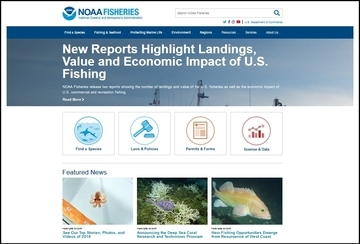 Your direct feedback will help us with new features and future updates to the NOAA Fisheries website. Interviews will begin in late February. If you are interested in providing feedback, please tell us a little about yourself by completing this online form. The Marine Protected Areas Federal Advisory Committee provides advice to the Secretaries of Commerce and the Interior on important and timely MPA issues. The Committee seeks nominations for 11 highly qualified new members. Due to the recent lapse in appropriations, the nomination deadline has been extended to February 15. Here at NOAA Fisheries, we’re celebrating 2019 as the International Year of the Salmon with our global conservation partners. This special year highlights how salmon connects people across the globe. Check this page for upcoming events and learn how NOAA Fisheries is supporting salmon restoration this spring. The FY 2019 Pacific Coastal Salmon Recovery Fund grant competition is now open. Interested project leaders should contact their appropriate Pacific Northwest state or tribal partner for details on the application procedure. Optional, but highly encouraged, pre-applications are due March 2; final applications are due April 1. By March 28, please submit your comments on the proposed Endangered Species Act Recovery Plan for Puget Sound Steelhead. The proposed plan outlines a roadmap for recovery of the native fish into a self-sustaining population that resumes its place as a keystone of Puget Sound’s marine environment. Due to the recent lapse in appropriations, NOAA Fisheries’ Southeast Regional Office is experiencing unusual delays in permit renewals. 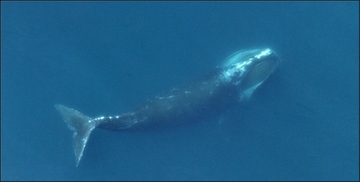 Permits for which complete renewal applications were submitted on time will be considered valid until NOAA Fisheries makes a final determination. The Deepwater Horizon Oceanic Fish Restoration Project, an Early Restoration Phase IV project led by NOAA, kicked off the third year of a partnership to restore important fish species impacted by the oil spill. The project includes voluntary opportunities for fishermen to be compensated for reducing fishing pressure and using alternative gear. As large whales migrate along the Eastern Seaboard, remember to follow responsible wildlife viewing guidelines to keep everyone—whales and people—safe. Go slow, stay back, keep a close watch, and report problems. 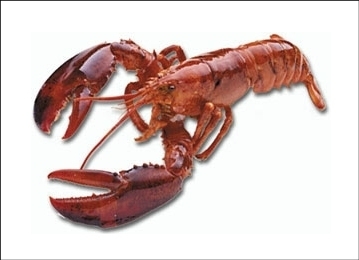 NOAA’s National Sea Grant Program seeks research proposals to address critical knowledge gaps about how the American lobster and its fishery are being impacted by environmental change. Sea Grant plans to award $1 to 2 million in FY 2019 for five to 10 research projects. Proposals are due April 11. The Mid-Atlantic Fishery Management Council seeks public input on the future of fisheries management in the Mid-Atlantic. The Council invites all interested stakeholders to take a 15-minute survey on the Council’s mission, vision, goals, and objectives by February 28. In this series, the Northeast Fisheries Science Center highlights the people who work at the Center’s five laboratories. 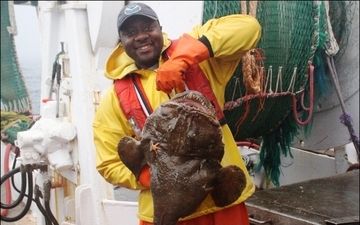 Read an interview with Calvin Alexander, a field scientist at the Narragansett Lab, who works with the fishing industry to collect valuable data. Looking back on a successful 2018, the Northeast Fisheries Science Center celebrates their top 10 stories (ranked by viewership) as well as 10 memorable takeaways (in no particular order). Free Protected Species Safe Handling, Identification, and Release workshop in Charleston, South Carolina. Free Atlantic Shark Identification workshop in Virginia Beach, Virginia. Pacific Fishery Management Council meeting in Portland, Oregon. Five For-Hire Reporting Workshops hosted by the Gulf of Mexico Fishery Management Council in Louisiana, Mississippi, Texas, and Florida. International Year of the Salmon event at the Maine Discovery Museum in Bangor. Free Protected Species Safe Handling, Identification, and Release workshops in New Jersey and Texas. South Atlantic Fishery Management Council meeting on Jekyll Island, Georgia. Mid-Atlantic Fishery Management Council meeting in Virginia Beach, Virginia. North Pacific Fishery Management Council meeting in Vancouver, Washington. Western Pacific Fishery Management Council meeting in Honolulu. Applications due for open seats on various South Atlantic Fishery Management Council advisory panels. (Extended deadline) Proposals due for 2019 Great Lakes Habitat Restoration Regional Partnership Grants. 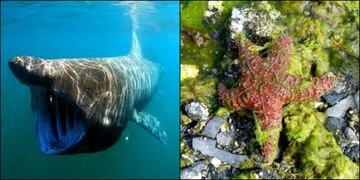 (Extended deadline) Nominations due for the Marine Protected Areas Federal Advisory Committee. Applications due for Maryland Sea Grant’s Chesapeake Bay Research Experience for Undergraduates. Proposals due for 2019 New England Bay-Watershed Education and Training (B-WET) grants. 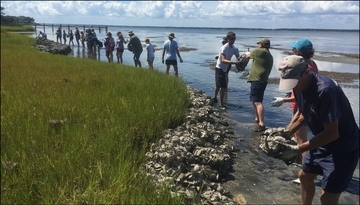 Proposals due for 2019 Chesapeake Bay-Watershed Education and Training (B-WET) grants. Pre-proposals due for 2019 Pacific Coastal Salmon Recovery Fund grants.